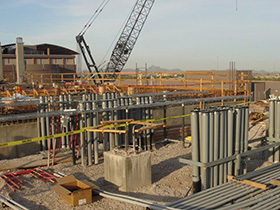 This $11 million membrane filtration project at an existing water campus included installation of electrical power distribution and instrumentation control systems to support new and upgraded facilities. Successful collaboration with the design-build team contributed to the successful completion of this CMAR project. Organization and open communication among all stakeholders were critical to maintaining critical functions during electrical and mechanical tie-ins. This $9.3 million, 28-mgd project included a new Siemens membrane filtration system, three new RO trains, sodium hypochlorite and neutralization systems, new blower and ozone disinfectant system. In addition new chemical feed systems, CIP system and new and recharge well facilities were installed. 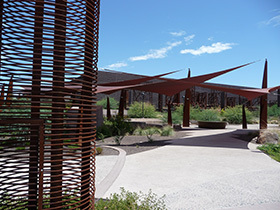 The project included installation of Arizona’s first Calgon UV pipe-mounted system. $7.1 million ground up water treatment project for the City of Scottsdale. 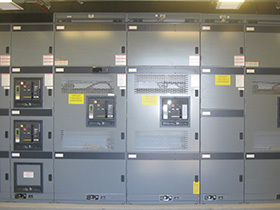 The electrical system for this project consisted of two 15KV feeders and two 15KV generators feeding dual buss switchgear. The 15KV gear fed four 2500KVA 12470/480 transformers for the 480V distribution for plant operation. Underground layout was designed to deal with electrical distribution challenges in the unique architectural structure.